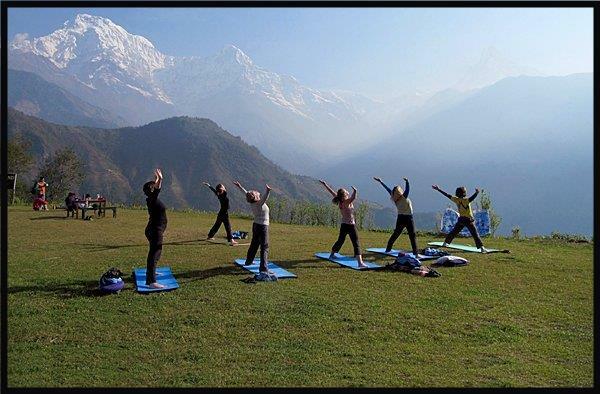 The yoga and trekking circuit combines two of Nepal’s most distinctive traditions with one goal: to strengthen and open your mind, to relax and to become even more aware of the absolute beauty of the Himalayas. The program is open to all levels of practice and ages, offering a unique opportunity to develop its mental and physical strength. Visit the oldest temple in the valley and a village of the Tamang ethnic group. Enjoy an exceptional panorama of northern Himalayas from the rice fields of Changunarayan and Nagarkot, and hike through the pine and oak forests throughout the 3 days of this trek in the Kathmandu valley. Your guide and yogi, Puskar Raj Pant, yoga teacher and expert in martial arts, is an accomplished athlete with more than 20 years experience in national and international competitions. He constantly develops his knowledge in order to advance the practice of sport in Nepal. Based in the Patnajali yogpeeth center, Mr. Pant is one of the country’s best yoga teachers, having graduated from the international level program at Patanjali University in India since 2011. Transfer to Sundarijal, trek to Chisapani (alt. 2300m). Trek to Nagarkot (alt. 2100m). Trek to Changunarayan and transfer to Kathmandu. Starting from 375 US$ per person. Airport pick-up and drop by private vehicle. One night deluxe twin sharing accommodation in Kathmandu. All local transportation by private vehicle in Kathmandu. Welcome or farewell dinner in Kathmandu. Transfers from Kathmandu to Sundarijal and Changunarayan to Kathmandu by private van. All meals (breakfast, lunch, dinner, tea and coffee daily) during the trek. Accommodation in a teahouse or lodge during the trek. 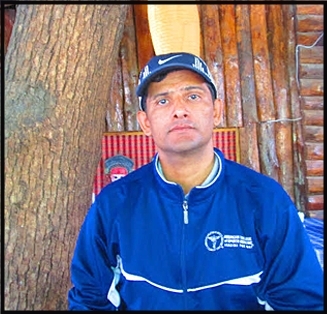 English-speaking trek leader with first aid and eco training. Sherpa helper and associated fees. Shivapuri Nagarjun national park entry fee and permit. Down jacket and 4 seasons sleeping bag if needed (to be returned after the trip).